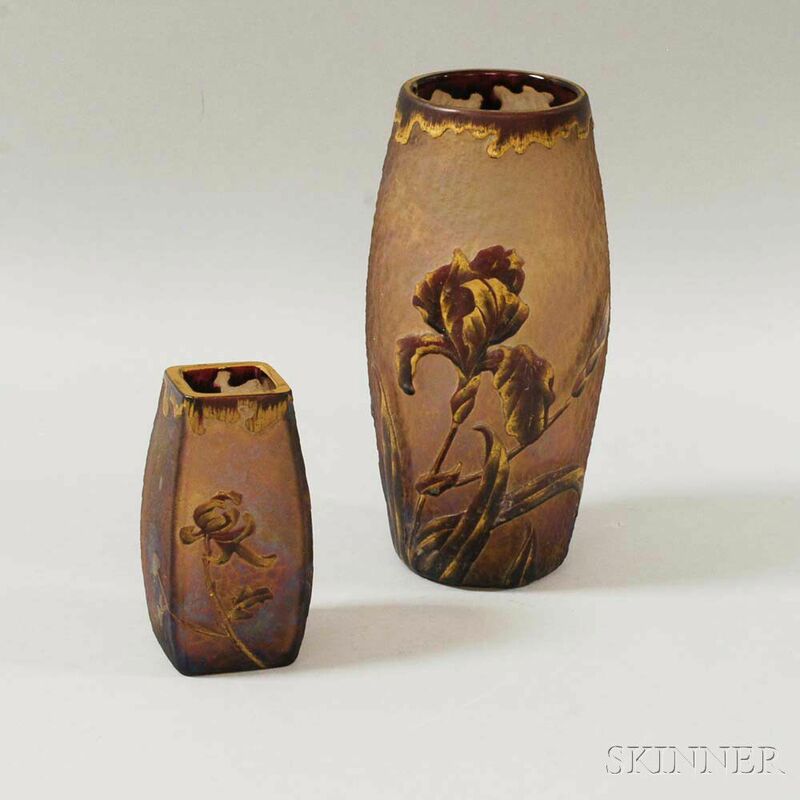 Two Val St. Lambert Cameo Glass Vases, Belgium, early 20th century, cylindrical vase with textured body, decorated with iris flowers in dark red with gilt highlights, gilt rim, polished pontil, gilt mark, XV, ht. 9 1/2; and a square vase with iridescent body, decorated with chrysanthemum flowers in dark red with gilt highlights, gilt rim, polished pontil, unmarked, ht. 5 1/4 in. Small chips interior of rim of smaller vase.